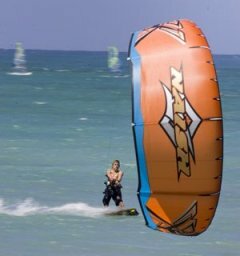 Wind Power Surf Shop offers a full line of the best Windsurfing school equipment on the market. Raceboards and shortboards are also available. 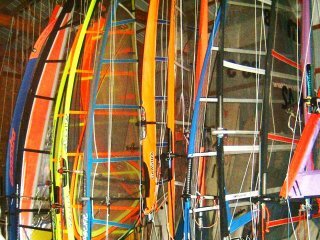 A full range of Naish Kites and Kiteboards are available for kiters. On those light wind or no wind days, Stand-Up Paddle Boards or just the paddles (use your own windsurf board) will keep you on the water. 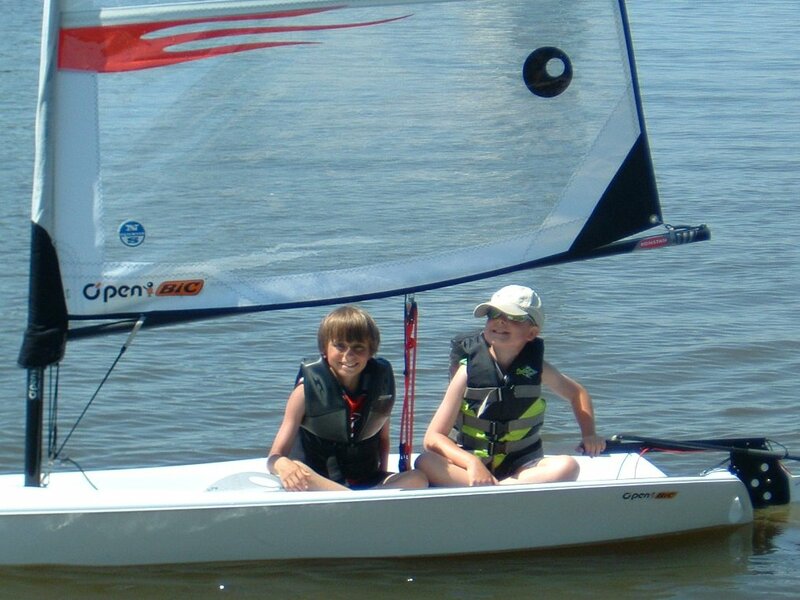 If your son or daughter wants to sail we will provide them with the equipment for a great time. 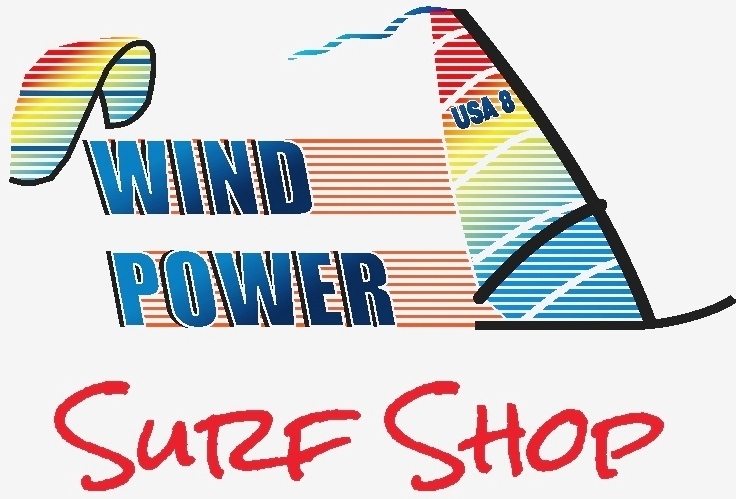 Wind Power Surf Shop takes pride in the shape and quality of its rental gear. We strive to make renting an enjoyable experience at any level of our great water sports. Rental requirements: Anyone can rent a SUP. If you have a windsurf board and want to paddle with that board you can rent just a paddle. There is a creek system which flows into Lake Winnebago on the west end of Roosevelt County Park. It is very scenic with a lot of wildlife to be discovered. Keep in mind when you paddle, take the wind into consideration as this can affect your stand up paddling experience. 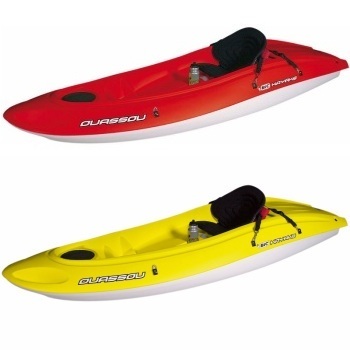 When on the lake it is smart to paddle upwind first so your paddle back will be less work and more enjoyable. Rentals are on site which means you start and end paddling out of Roosevelt County Park which is located across the street from Wind Power Surf Shop. Off site rentals are special per case rentals, please call Wind Power Surf Shop to discuss. 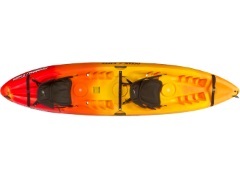 Rental requirements: Anyone can rent a Kayak. 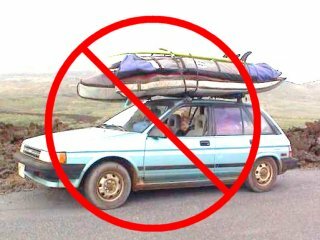 Wind Power has site on top kayaks for your safety. There is a creek system which flows into Lake Winnebago on the west end of Roosevelt County Park. It is very scenic with a lot of wildlife to be discovered. Keep in mind when you kayak, take the wind into consideration as this can affect your stand up kayaking experience. When on the lake it is smart to paddle upwind first so your paddle back will be less work and more enjoyable. Rentals are on site which means you start and end paddling out of Roosevelt County Park which is located across the street from Wind Power Surf Shop. Off site rentals are special per case rentals, please call Wind Power Surf Shop to discuss. 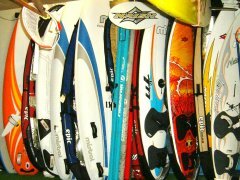 Come out to the Wind Power Surf Shop and try out our large assortment of rental equipment - Stand Up Paddleboards and Kayaks. 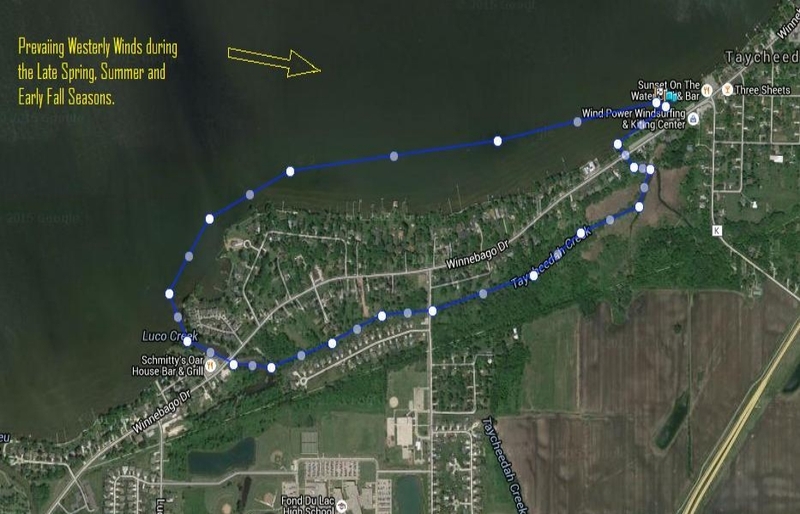 We are located on the Southeast corner of Lake Winnebago which is perfect for all types of weather and wind conditions. Very close to our launch site, we are fortunate to be near the Taycheedah creek waterway that weaves in and out of marshes and woods. There are 3 bridges to go under, paddle through a marsh and then paddle down the creek with the trees on both sides of the bank forming a canopy over your head. If you are quiet you can see all kinds of wildlife, like deer, ducks, cranes, owls, muskrats, otters and turtles sunning themselves. At times it can be challenging with fallen trees to portage or go around, which is all part of the adventure on the Wind Power Loop. Sunscreen is important to wear on sunny days as you know, however, if you'd like to try the loop, bug spray is also suggested due to the beautiful nature and outdoor environment. De Neveu Creek, Fond du Lac River, the series of channels in Lakeside Park and there is Supple Marsh on the south-west corner of the lake. Rental requirements: Must know how to windsurf. If you are struggling, we can setup lessons (your best investment in this great sport), which will bring a smile back to your face. 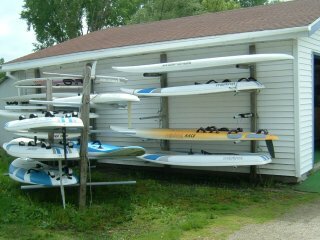 Rentals are on site, which means you sail out of Roosevelt County Park which is located across the street from Wind Power Surf Shop. 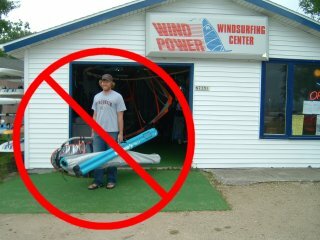 Off site rentals are special per case rentals; please call Wind Power Surf Shop to discuss. Rental requirements: Must know how to kite. If you are struggling, we can setup lessons (your best investment in this great sport), which will bring a smile back to your face. Rentals are on site, which means you kite out of Roosevelt County Park which is located across the street from Wind Power Surf Shop. Roosevelt County Park is good for kiting when the wind direction is west to north. Any other wind direction requires kiting to be done at an alternate location. Off site rentals are special per case rentals, please call Wind Power Surf Shop to discuss. Rental requirements: One must know how to sail. If they are struggling, we can setup lessons (your best investment in this great sport), which will bring a smile back to your face. Rentals are on site, which means sailing out of Roosevelt County Park which is located across the street from Wind Power Surf Shop. 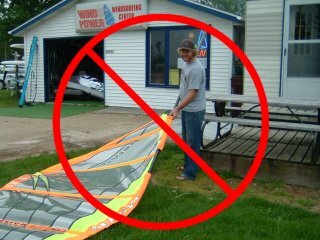 Off site rentals are special per case rentals, please call Wind Power Surf Shop to discuss. 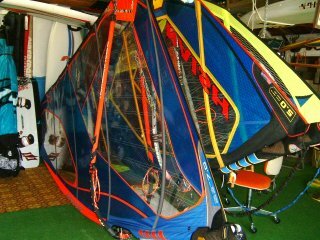 Keep your Equipment Rigged and Ready to Sail at Wind Power Surf Shop. 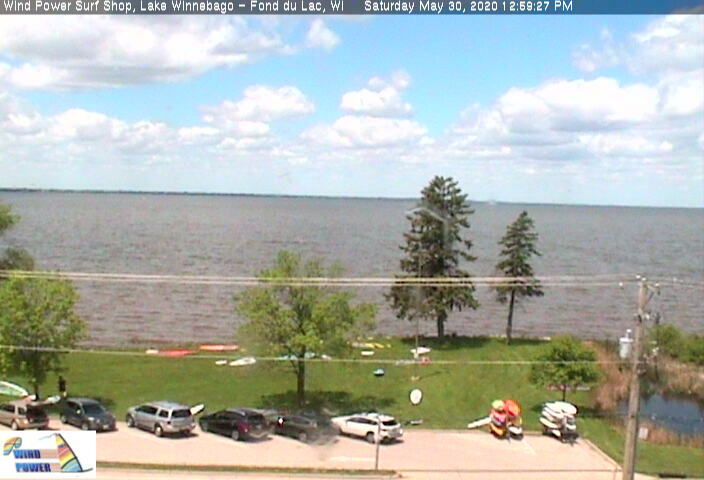 Beautiful Lake Winnebago is the best lake in the Midwest for Wind Sports. It's large size provides clean strong winds, yet it is safe with the warm water. Why haul equipment or even rig it? The bottom line is more time on the water and less time unnecessarily handling equipment. Cool with breezy SSW winds.